For some women, weddings are all about tradition. They expect the man to get down on one knee, present her with an expensive ring and then step aside for the next year as they plan every last detail of the dream wedding, from the traditional white bridal gown to the perfect roses in the bouquet. However, other women prefer casting traditions aside in favor of planning a wedding that fits with their own personal culture. They shun the typical gold and , opting instead for edgierblue diamond engagement rings, they reject the white gown in favor of stripes, bright colors or even metallic, and when it comes to the food, the last thing they want is a commonplace buffet line filled with all the typical wedding hors d’oeuvres. If this sounds like you, then you may be in favor of a new trend for engaged couples: splitting the cost of the ring. While some women may shudder at the idea of picking out and helping to pay for their own engagement ring, the practice does have a few benefits. Whether you want elegant and classy blue diamond engagement rings or you’re seeking something a little more subtle, taking part in purchasing your own ring will allow you to have more control over what eventually ends up on your finger. Many women are picky about how exactly they want their ring to look, and picking it out themselves eliminates the nerve-wracking task of dropping hints to their loved one and attempting to describe what they want. There are other positives to taking part in the purchase of your own ring. For one, it may mean getting married sooner. In the past, when the man was always expected to pay for everything, he may have needed to wait much longer to save up the money for a quality ring, which naturally forced his love to wait longer for a proposal. By going Dutch, the two of you can work together to find the blue diamond engagement rings of your dreams while also discussing how to stay within a budget that will allow for greater spending on other areas of the wedding. Either way you look at it, when a couple comes together as one, their financial situations are united. Whether she pays for half the ring or he pays for the entire ring and half the honeymoon, their collective finances end up the same, which leaves many women wondering why anyone would want to throw tradition out the window in favor of making things even. For some, being surprised with the blue diamond engagement rings they had been hinting after is a huge part of what makes the experience joyous and beautiful, and they don’t want to miss out on that. The same goes for men. While some guys would be relieved at the possibility that their partner would be willing to help pick out and pay for a ring, others would be dismayed at having this honor taken from them. At the end of the day, every couple is unique, and it’s up to you and your fiancé to decide the best way to propose, plan and take part in your dream wedding. If you’re ready to begin looking at blue diamond engagement rings or any other form of wedding jewelry, stop by Juno Jewelry today. 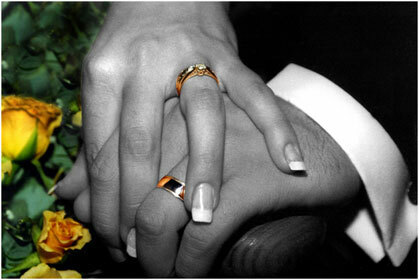 We offer a wide variety of beautiful rings with customization available.